Business inspiration struck Diane Campbell on an international flight in 2007. Struggling to get comfortable, she had an idea for a plush, high-end travel pillow. When she returned home, the homemaker and part-time lab assistant began researching the travel pillow industry, came up with a design and patented her product. But when it came to getting Kuhi Comfort to market, “I wasn’t sure where to begin,” she recalls. So Campbell contacted the Small Business Development Center hosted by Long Beach City College. When Campbell visited the SBDC in March 2010, she had no business experience. Over the next year, Business Advisors Mike Daniels, Phil Glover, Laura Lara, Bret O’Connor and Ryan Smolar helped Campbell create a business plan, price her product, incorporate, develop a marketing plan, launch a website and bring her product to market. Do the math. O’Connor and Daniels showed Campbell how to figure out her costs and price the product. “If you don’t have any business background, it’s good to have someone walk you through this,” says Campbell. Lara introduced her to QuickBooks to create financial projections and invoices. A website is essential. “Retailers want to see who you are,” Campbell explains, “so before I take the product to a store, I send [the buyer] to my website. It saves time.” The website Smolar created was also instrumental in finding a U.S. manufacturer. After seeing Campbell’s website, the manufacturer was impressed enough to make a small production run instead of the larger order typically required. In March 2011, Campbell officially launched Kuhi Comfort at a major travel trade show; she received several orders and dozens of inquiries. 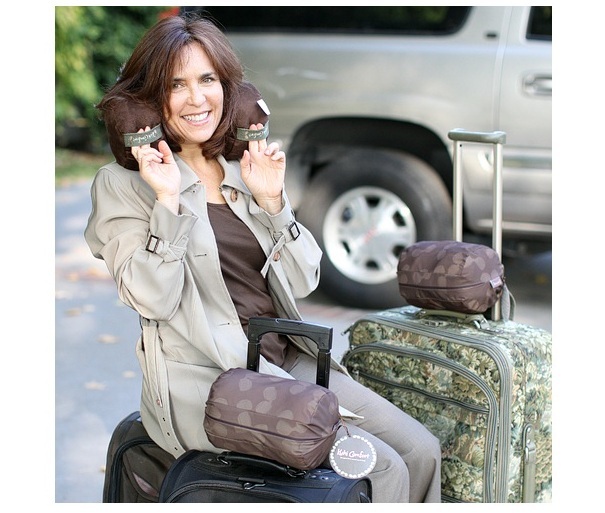 Available in faux suede, satin, and adult and child sizes, the pillows are sold online and at retail stores in New York and California; they’ve also been featured as a hot new product by USA Travel.